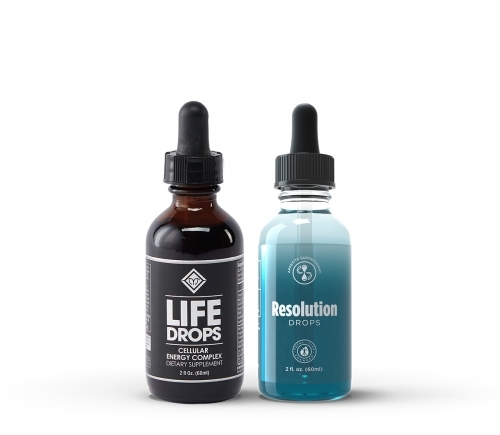 Enjoy the all-natural influence of a gentle intestinal cleanse to maintain good gut health and replenish your body with vital nutrients and vitamins required to support overall wellness. 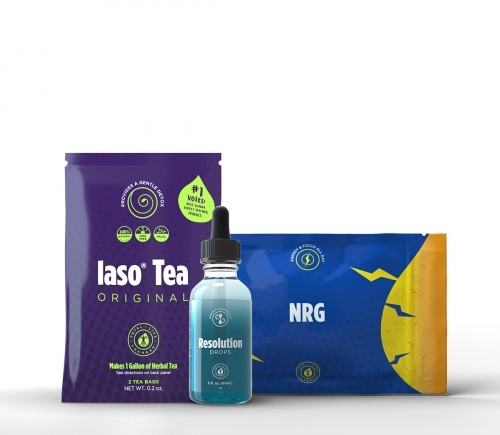 The Synergy Kit combines two incredible products designed to be more effective than the sum of their separate effects. 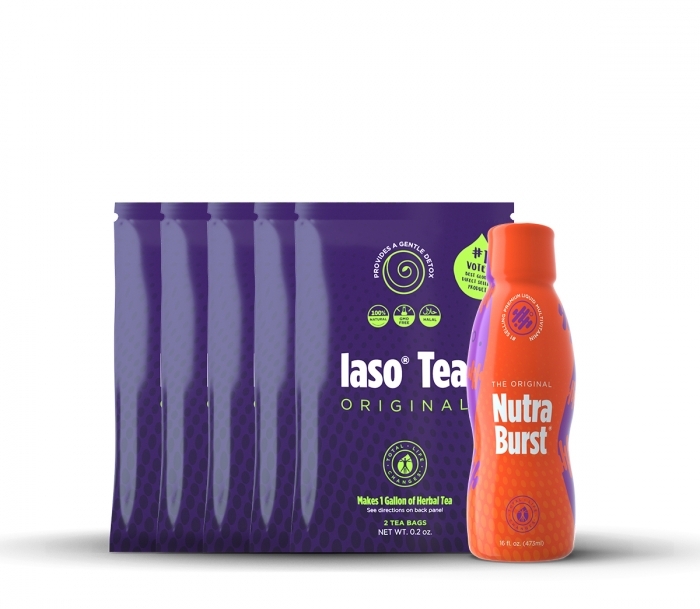 Iaso® Tea is a unique, all-natural blend of herbs. This daily cleansing tea is designed to flush harmful toxins from the upper and lower intestines. Our formula provides a unique blend of nine herbs: Holy Thistle, Persimmon Leaves, Papaya, Blessed Thistle, Malva Leaves, Marsh Mallow, Myrrh, Chamomile, and Ginger. Nutra Burst is much more than a regular daily supplement. 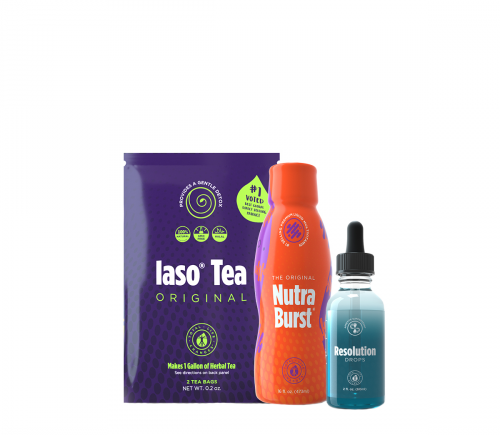 This liquid multivitamin is designed to detoxify your system and supply essential elements that help strengthen your body. Liquid supplements are capable of increasing vitamin absorption up to eight times faster than conventional tablets. Our formula is unmatched in its spectrum of Phytonutrient Enzymes and blend of Whole Food Greens. Presentation and Availability may vary by country. Visit your shopping cart for accurate availability in your country!